This project was designed within a small space but for the intent of making a huge impact. 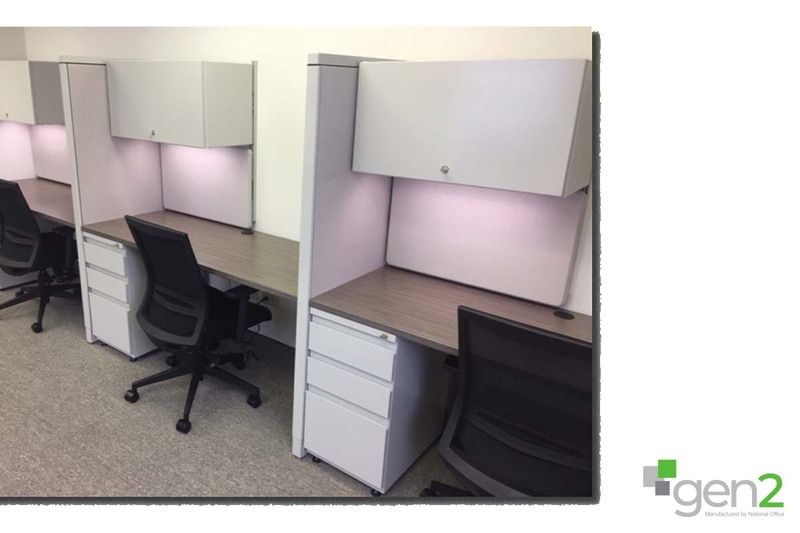 Each space was carefully considered , like the use of space in the office with its open O leg in the desk, and a place to stand and work doubling as a filing area. The use of muted tones of greys, creams and brown tones throughout the space keep the workflow vibe going strong. The Kitchen with its modern white chairs and chrome. Keep things bright and airy. The Open working spaces were designed so that communication was front and center and not an afterthought.